To ensure the durability of your tags, make sure you have printed your tags on heavy weight paper (160g or heavier). Put a piece of clear packing tape along the BACK and over the TOP PART of the tag, covering the area marked "pin here." Then use your hole puncher to punch a small hole where it says "PIN HERE" at the top. Your tag and the tag hole are now reinforced. DO NOT COVER THE BARCODE WITH TAPE--the barcode scanner will not be able to read it if you do. 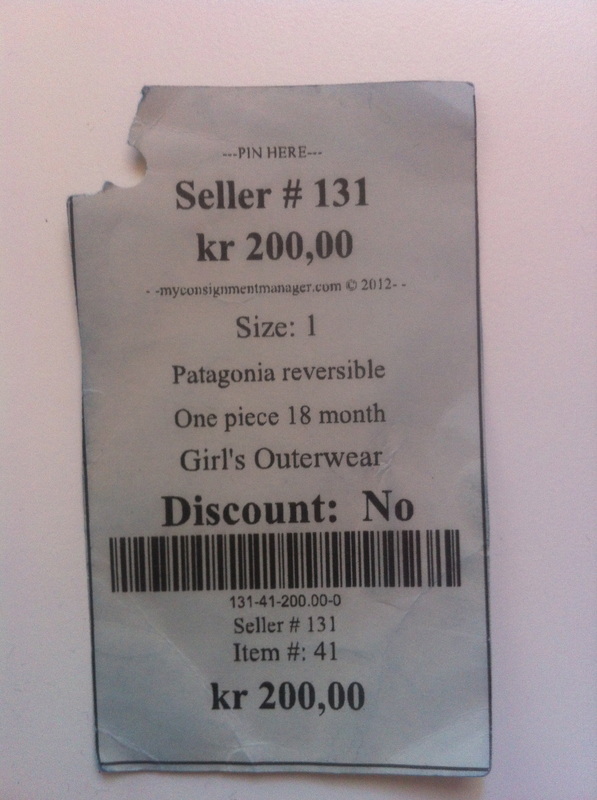 You may also laminate your price tag, but you must ensure that the barcode is clear. 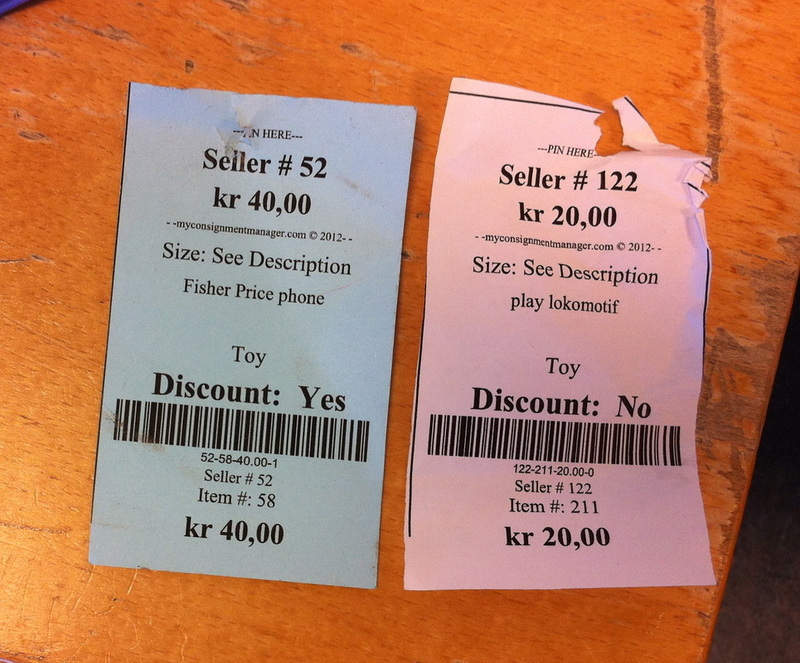 This is what happens to your tags if you do not follow our tagging instructions -- they rip and fall off! Make sure you use thick paper and reinforce the tag!! This tag was printed on thick paper, but was not reinforced with tape at the top, so the tag ripped off.